Do you still make your GIF by simply convert your videos or live photos into GIF? Then you are too out-dated! Download GIFFAW and experience the new way of making your GIF! How to Use: 1. Find the GIF you like. 2. Replace the face in GIF with the one of anyone you like. 3.Export to social media or use directly in iMessage. Features: - Dozens of customizable GIFs. - Search and edit the GIFs you like. 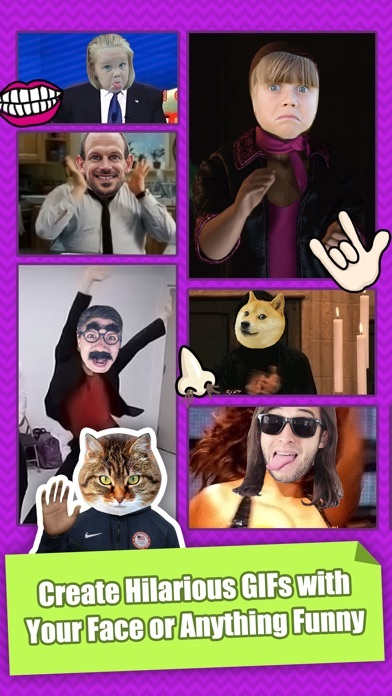 - Meme your customized GIFs. - Use directly in conversions with iMessage app. - Share to social media. 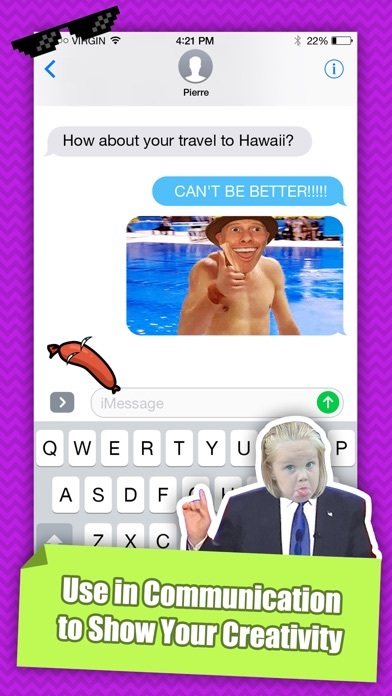 Use GIFFAW to create your own funny GIFs! Impress your friends with hilarious GIFs! It gives you like 40 gifs to choose from and you can't upload your own. Biggest waste of $2. There are only a few gifs to choose from to make these gifs.